Captain Pearce never intended to be a teacher, but the only way she could escape her early retirement on Earth and get back out into the vacuum was to share the human side of the great Terraforming Project to young political appointees hoping to become Fleet cadets. 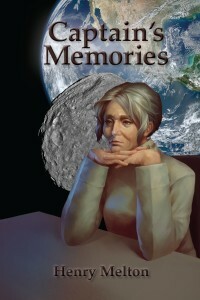 Hiding her old secrets had given her a unique view of the past failures and the ongoing dream that powered the greatest macro-engineering task of all—remaking the Solar System into new habitable planets for mankind. Stationed on Ceres, formerly an asteroid, now the second largest moon of Earth and headquarters of the Project, also gave her the opportunity to pull off a little project of her own—if she could play the game before they found her out. Henry Melton has been writing Project stories for magazines and anthologies for decades and here in one volume are collected old favorites and several new, previously unpublished works spanning from the beginnings of the Fleet as a simple space transport organization through its expansion to become the mover of planets and changer of worlds.